High wind speeds are a major safety risk to high rise windows and building cleaners who are elevated to an average story 600 ft. in New York alone. Similarly, the machinery and equipment used to assist them in reaching these great heights are put under an enormous amount of strain increasing the need for maintenance. Strict safety procedures and safety equipment are essential to reduce the risk of potentially fatal outcomes. How does the system assist with this challenge? A wind speed sensor with a 0-10 volt output is attached to a Hanwell Pro wireless data logger. When the wind speed exceeds a predetermined level a signal is sent to the receiver mounted in the workers’ platform alerting them that it is now unsafe to continue. The system is quick and easy to install and transmits to a locally used laptop for immediate access to cloud-based software. At Hanwell Inc, we pride ourselves on our ability to accurately interpret our customers’ needs and produce a cost-effective solution that can not only eliminate or assist them now, but that can grow and change in the future. Working alongside a reputable company, we first took time to understand the requirements set out by our client and the specific problems they faced and designed and presented a wind speed measurement system that fitted their initial and strict brief. Find out more about how Hanwell environmental monitoring products can monitor the temperature of your compost. 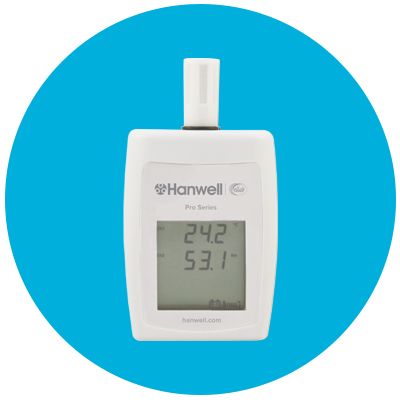 Monitor your beer during the Beer Fermentation Temperature monitoring process from Hanwell. Prevent the spread of Legionnaire’s disease with Hanwell Environmental Monitoring systems.